Small but full of life at the bank of river "Bakud" where born great men : Avinash Pancholiya, Seth Mayachand jain,om prakash ganeshilal maheshwari(om seth, atut wale),sethDr. Londhe, Chaturvedis, Jains & Maheshwari families. It is a popular center for cotton & chilly trades also famous for dargah- Piran-e-peer, Jardar Beedi & jain temples. This is the place of freedom fighters like "Brij mohan Sharma" also known as Birju Seth, Kamal Chand Jain (Also known as Master Saab) and Shri Durgashankar Patidar who has won Rashtrapati Purushkar in teachership Jagdeesh Vidyarthi, all very famous for their Freedom activities during English rule. Sanawad was the business capital of the district. The cotton Ginning factory started from Sanawad by the Bahety family. Later on they had a number of Cotton Ginning factories in Khargone and Khandwa Districts. As of 2001 Census India Sanawad had a population of 50000. Males constitute 52% of the population and females 48%. Sanawad has an average literacy rate of 82%, higher than the national average of 59.5%: male literacy is 86%, and female literacy is 72%. In Sanawad, 14% of the population is under 6 years of age. 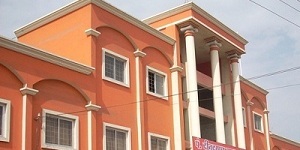 The town is famous for its ASPIRE Institute for giving the most promising services in Computer Education Field; situated on in the Heart of the city at Mortakka Chouraha. 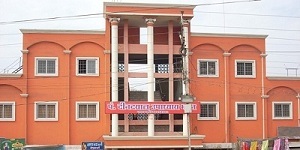 This Institution is famous for its Computer Diploma Courses Like DCA, PGDCA from the University Like - Maharshi Mahesh Yogi Vedic Vishwavidhyalaya, and also registered as Makhanlal Chaturvedi Computer Prashikshan Sansthan. The town has a Government Polytechnic College of diploma, a government degree college for commerce and science, along with a private college of science. There are well-known educational institutes as M D Jain H S School, Vimala Convent School, Saraswati Vidhya Mandir, which are serving for education and culture. There are more than 5 educational institutes. The local economy of Sanawad is based mainly around Agriculture and Trading. The main crops of the surrounding region are cotton, wheat and soybean. 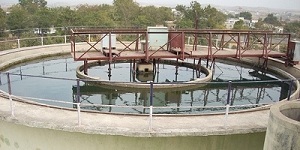 Sanawad is located very near to the Narmada river (around 7 KM), 70 KM from Indore and 60 KM from Khargone (the district headquarters) and 10 KM from Barwaha which is the Tehsil. Sanawad is going to be Tehsil within 1 or 2 years. Sanawad city is also known as the city of Mela who has known as Piranpir Evam Shitla Mata Mela . It is having smallest "Bus Stand" of Madhya-Pradesh. Due to cores of construction because of the canal work, the city is making its mark in Khargone District. There are a total of five Jain temples. Among them the Digambar Jain Samavsaran Temple is considered among the eight famous Jain temples across India. There is also a very well known "Piranpir Tekari" on the top of a hill. There is a Dargah on the top and little below on the same hill there are few of temples. Sanawad is well connected by road and rail to of the cities of Madhay Pradesh like Indore and Khandwa. In 1924 the first coperative bank in Khargone district named as Sanawad Co-operative Bank Ltd was established which was merged in District Co-operative Bank in the 1960s. The cooperative movements started from Sanawad. In 1930 Sanawad Municipalty started providing a water supply through pipe lines in the town. It was first of its kind in the district. Maintained by Infocus Software Dev.